Interstate 93 To Route 16/high St.
Don't miss this spectacular 2016 renovated 1,788 sq feet, 3/4 bedroom, 3 bath, Philadelphia-style condo in red hot & popular West Medford! This lovely sunny home is conveniently located on a corner lot just a pleasant walk to trails, parks, the Commuter Rail & West Medford Sq. You're certain to enjoy the modern open concept living/dining layout, open to a wonderful new chefs kitchen w/ convenient island perfect for entertaining & leading to the sliding glass door accessing your large private deck. 2 of the homes bedrooms & baths are on the 1st floor including the large master bedroom suite. Charming wood staircase leads to 2nd floor where you will find 2 more large bedrooms & a newly renovated full bath. Other features include central air, gleaming wood floors, high ceilings, newer appliances, 2 side-by-side parking, tons of private storage in basement (perfect for home gym). 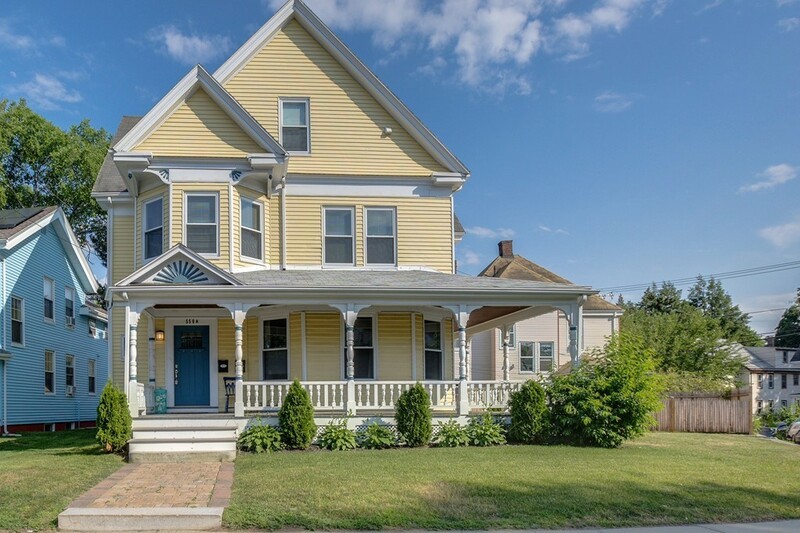 Simply move-in, relax and enjoy this convenient and wonderful West Medford home! Open Thu,Sat,Sun 11:30-1! policy in attached condo documents.